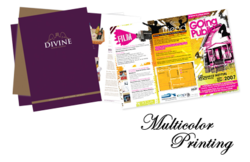 Pioneers in the industry, we offer brochure printing service and multi color printing from India. We feel proud to introduce ourselves as the leading organization in this domain, engaged in presenting an excellent grade Brochure Printing Service. 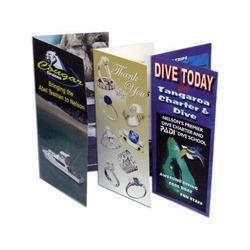 This service is made available to offer brochure in various sizes and colors. According to the requirements, clients can opt for printing head office, regional and other branch addresses on the offered brochure. Moreover, our unit has best professionals who help clients in designing the attractive and decent business brochure for the organization. Also, we have advanced manufacturing and printing machines for developing unique brochure for the clients.